You may have seen the old SpeedTrees, but with the visual improvements in iClone 6, you will get the latest generation of beautiful looking SpeedTree assets that you can fine-render with Indigo to bring out their true beauty. A higher polygon mesh provides much more smooth and refined curves, while an added alpha value allows for transmissive effects. 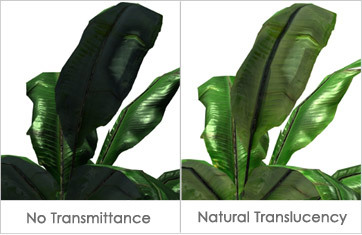 In this example, you can see light pass through the leaves and observe the internal leaf structure as a result. 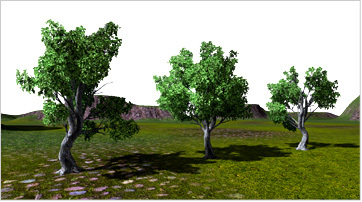 All trees now come with multiple texture channels, including diffuse, normal and specular maps, they gives a further detailed look and high material realism. Different species of plants now react according to wind settings. In addition, you can now use the timeline to key in wind changes from still and gentle to hurricane speed! . One of the biggest advantages of Botanical World is that it provides a variety of properties within the same tree species. 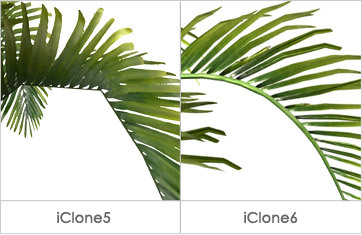 Plants growing in the same place do not always look the same, and copy/pasting the exact same tree in your 3D scene will not only be monotonous but also look fake. 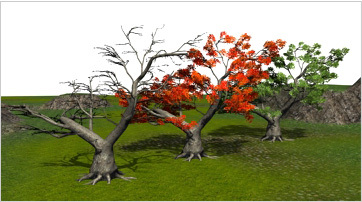 With SpeedTree, each species has a number of properties which allow you to randomize the appearance of each individual tree. Most species provide 3-4 shape and size variations for the same single plant . Some plants offer different seasonal looks, especially for broadleaves which change color, and conifers with soft snow on their branches. 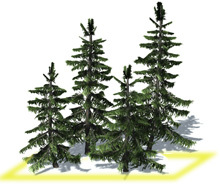 Usually there is 2-3 cluster variations for one type of tree or grass. For iClone 6.0 with DirectX 11 Support! 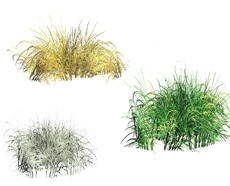 Looking for specific kinds of Plants?